Today I will be providing a full review and letting the Binary Today readers understand what this system has to offer. The website for this software is moneymagnet.cm, never even seen a domain like that before. for I’m sure you already know that I will not be recommending the money magnet software. This system forces you to sign up with the Redwood options broker and after depositing a minimum of $250 you gain access to this trading software. There is no proof anywhere that this software works and there are no reasons for us to get involved with this. The strategy is not explained and there are many details left out. 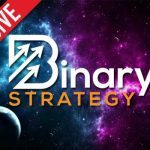 All this is is a short video that is trying to get us to sign up with the Redwood options binary options broker. I really think we should just avoid this one and move onto something else. If you have something you would like to contribute to this article leave your opinions and thoughts below. Really not going to spend much time talking about the money magnet. Just stay away from this one folks. It’s just like all the others that I’ve reviewed and didn’t like. Hope I haven’t been too harsh in my review. I will not be recommending the money magnet today to any of the binary today readers. Thank you for coming to my website and I hope that you have success with some of the other products you will find reviewed on this website. That is all for today, keep on winning and make sure that you end up in the money more often than not.